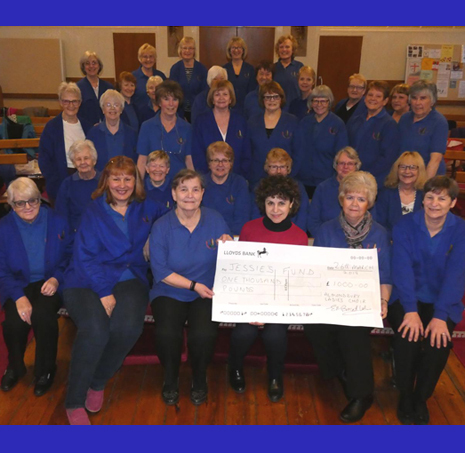 Almondbury Ladies Choir chose Jessie’s Fund as their charity of the year, 2017 – 2018, and on 26 March Eileen Broadbent, the treasurer of the choir, presented a cheque for £1,000 to Lesley Schatzberger, Director of Jessie’s Fund. The money was raised by carol singing at Morrisons, Sainsbury’s and The Mill Outlet and Garden Centre in Batley. 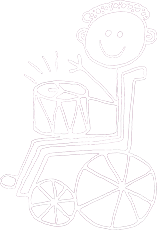 Unfortunately their Christmas Concert planned for December had to be cancelled due to snow, but nearly all the patrons kindly donated their ticket money to the charity. The choir’s Spring concert, entitled “A May Sing” with guest soprano Ann Wilkes (Kirklees Young Musician of the Year finalist in 2018), is to be held on Friday 4 May, at Hall Bower Chapel, High Lane, Newsome. Tickets (£7) can be purchased by calling 01484 321593, or at the door, and refreshments will be provided.